It seems Port Douglas has become a haven for rare marine life with lesser-known minke whales spotted in the waters last month and now this month, a sea creature so rare it’s known as the ‘unicorn of the sea’ by scientists, has also been spotted in the waters off Port Douglas. The strange-looking tubular creature that appeared to be several metres long was spotted by dive operator Jay Wink on a Port Douglas tour of the area. Pyrosomes are not a single creature but are in fact colonies of hundreds, sometimes thousands, of individual creatures known as zooids. These individual zooids work together to propel the colony through the water as one complete entity. The name is derived from the Greek words ‘pyro’ meaning fire and ‘soma’ meaning body. This moniker comes from a kind of luminescence emitted by the pyrosome. Each individual zooid is capable of producing sustained light, which is then mimicked by its neighbours and so on until the whole colony lights up. Some pyrosome’s can be seen from up to 30m away. 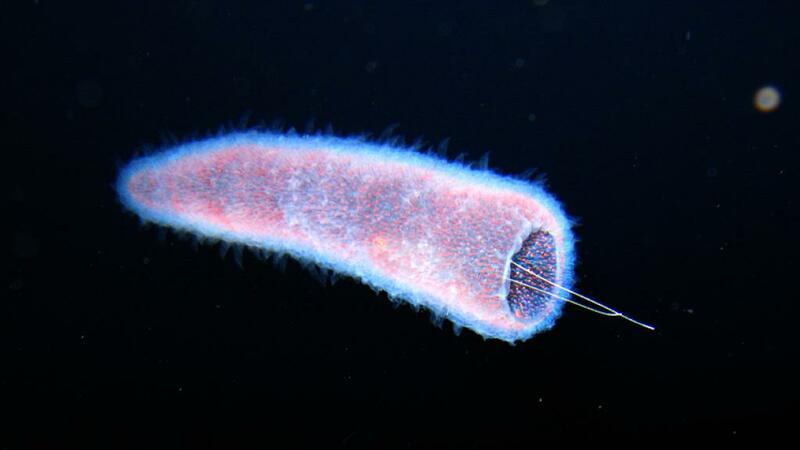 Pyromsomes are typically only found in tropical waters and this year, scientists have been surprised by blooms of these creatures, thought to be due to ocean temperatures cooling on the Californian coast. Whatever the reason, spotting one of these unique creatures in the waters off Port Douglas has been cause for excitement for scientists, local tour operators and visitors.